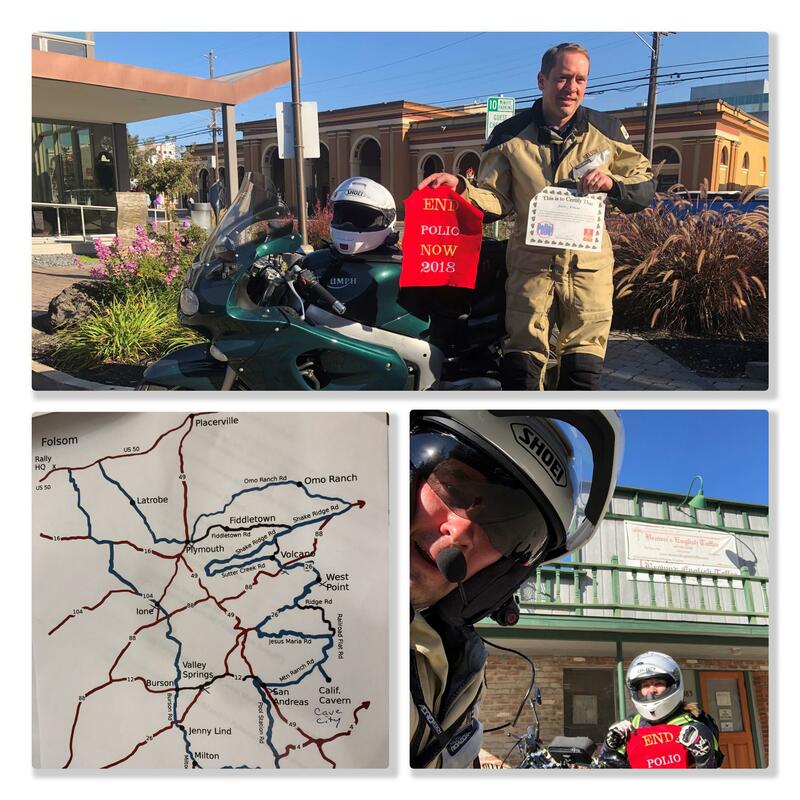 On September 7-8, 2018, Scott Nelson of Oakland Rotary #3 rode his Triumph motorcycle in the 2018 No Polio! Rally. Bob and Patti Mutchler (Folsom Rotary members) hosted the pre/post Friday & Saturday BBQ dinners at their home, prepared to perfection by rally chef David Hatfield. Allan Pratt, Our Rallymaster, mapped a Saturday 8-hour ride with route alternatives and bonus-point opportunities on beautiful backroads. Other participants included Mario Winkelman, Neil Cook, Nancy Lefcourt, Peter Perrin, and Katherine Copeland, member of the Vancouver BC Rotary club. 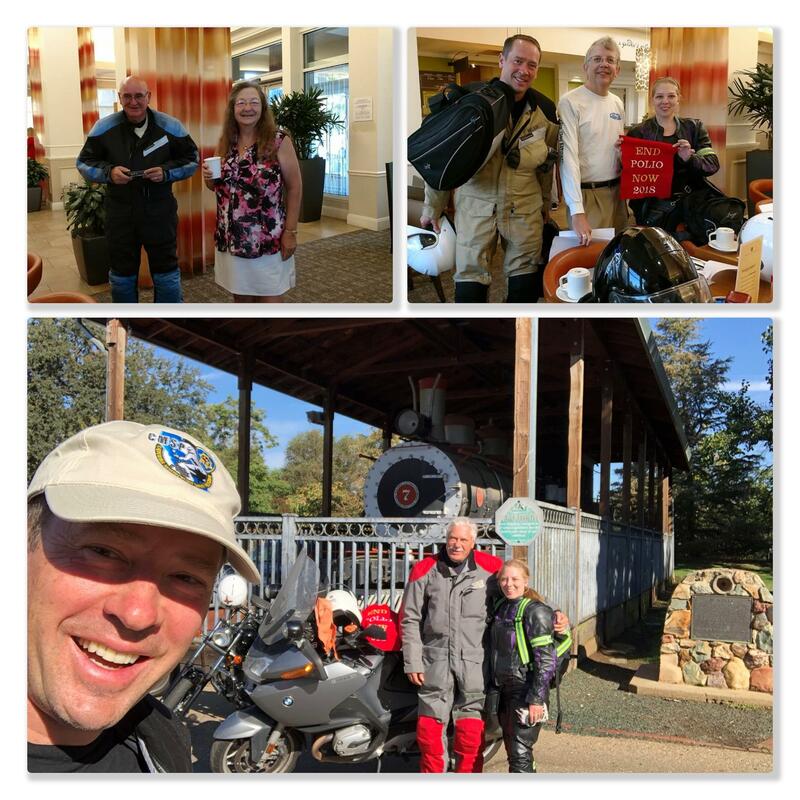 Notably, Katherine drove the farthest to participate, nearly raised the highest donations, and passed her motorcycle license test the day she departed for this rally. Bob’s goal for this 10th annual NoPolio! Rally was $10,000. As of Sept. 9th, we went over, totaling $16,905 in donations! This event is a charity fund raiser: donations raise money and awareness for PolioPlus and for fighting polio worldwide. Since 2008, we have raised more than $110,000.00 towards this goal from the motorcycle community alone. More details about the rally series can be found at http://nopolio.org/.